An emergency United Nations meeting is being held this week to discuss the threat to Asian countries from African swine fever. China reported four cases of African swine fever on Thursday alone, bringing the number of outbreaks to 13 since the virus was discovered in the country in early August. The agriculture ministry said it had identified the disease on three small farms in Jiamusi in Heilongjiang province in China’s northeast and the cities of Wuhu and Xuancheng in the eastern province of Anhui. The largest of the three farms had 203 pigs, while the smallest had only 30 pigs, Reuters reported. Eight new outbreaks have confirmed in less than a week and with the 13 cases overall spread across five provinces and up to 3,000 km between them, there is growing concern about the scale of the outbreak in China and the risk to other countries in Asia. Specialists from China and nine neighboring countries considered to be at risk are attending the meeting running from Wednesday to Friday in Bangkok, along with experts from outside the region and participants from the private commercial swine sector, according to Reuters. The nine countries are Cambodia, Japan, Laos, Mongolia, Myanmar, the Philippines, South Korea, Thailand, and Vietnam, the UN’s Food & Agriculture Organization (FAO) said. Wantanee Kalpravidh, regional manager of the FAO Emergency Centre for Transboundary Animal Diseases (ECTAD) in Asia, said: “It’s critical that this region be ready for the very real possibility that (swine fever) could jump the border into other countries. China is home to approximately half the global pig population, an estimated 500 million pigs and the authorities are battling to keep the spread of the virus under control. On Sunday, following confirmation of the sixth outbreak, China imposed a ban on transporting pigs and pork products from provinces which have reported outbreaks of ASF. It has shut live pig markets in the regions, effectively preventing slaughterhouses and meat processing factories from using pigs or pork from affected regions. The outbreaks have pushed up pork prices in the country’s south and could have an imoact on global trade, with China likely to be forced to import more pork. Neighbouring countries have taken steps to keep the disease out, with Japan among the first to ban Chinese pork imports. South Korea ramped up quarantine measures at airports after finding a traveler carrying Chinese food infected with the disease, Reuters reported. “It may be very, very difficult to control this epidemic in China. And once it spreads to Asian countries, we could have big social chaos and instability,” said Young S Lyoo, from the College of Veterinary Medicine at Konkuk University in South Korea. 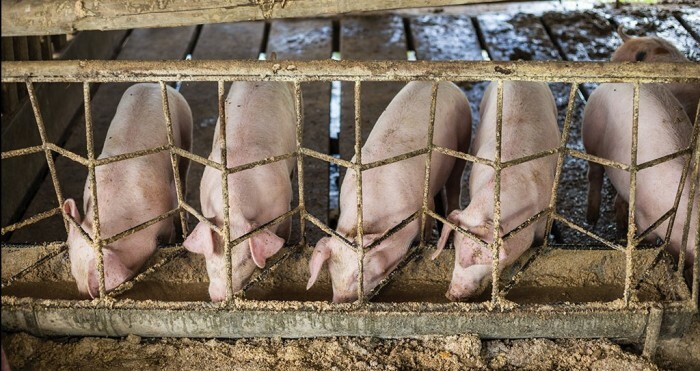 The strain detected in China is similar to one that infected pigs in eastern Russia and neighbouring countries in 2017 and Chinese authorities believe the outbreaks originated from outside the country. FAO chief veterinarian Juan Lubroth said movement of products, rather than pigs, is likely to be responsible for the spread of ASF to different parts of China.